CLINICALLY PROVEN NATURAL WEIGHT LOSS: Tired of weight loss pills not living up to their claims? 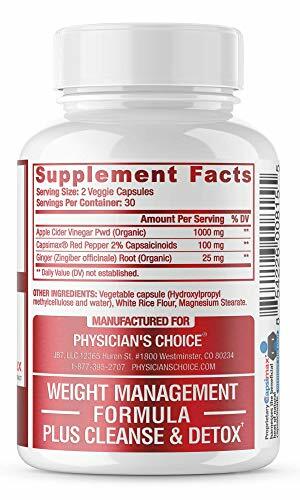 In clinical studies, stimulant-free and all natural Capsimax was proven to accelerate metabolism, decrease appetite, and increase resting energy expenditure by 6% â€” that's burning 100 CALORIES A DAY! 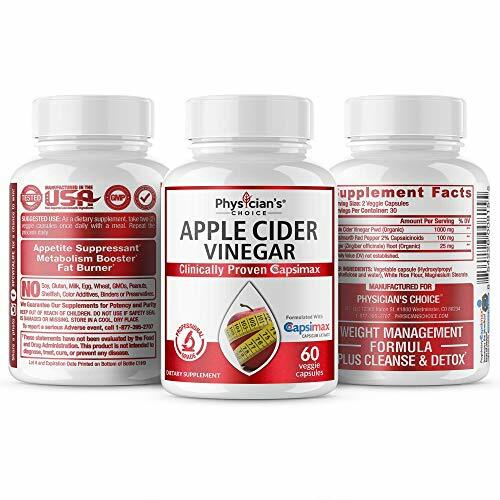 DIGESTIVE HEALTH, DETOX AND CLEANSE: Apple Cider Vinegar is a pure natural cleanser and is known for its detoxifying properties. * This gentle super food will cleanse your entire body and boost your immune system. 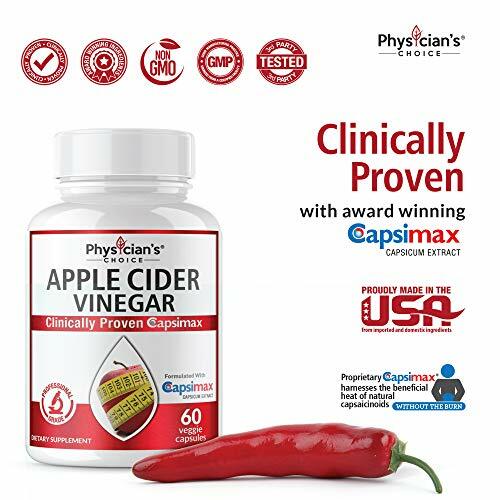 * Our Apple Cider is formulated with Award winning Capsimax and Ginger for optimal detoxification & digestive health. * Our Organic Apple Cider is NON-GMO, pure, raw apple cider. 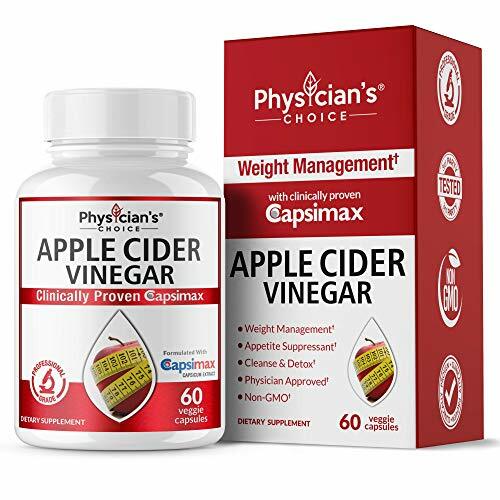 POWERFUL FORMULA WITH 1000mg PER SERVING: Perfect for those who cannot stand the real taste of Apple Cider Vinegar. 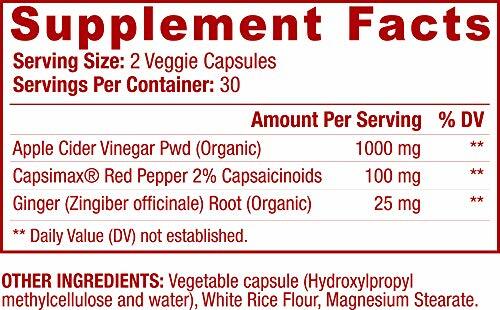 The bottle contains 60 easy to swallow veggie capsules, allowing you to enjoy all the amazing benefits of apple cider, Cayenne pepper and ginger. 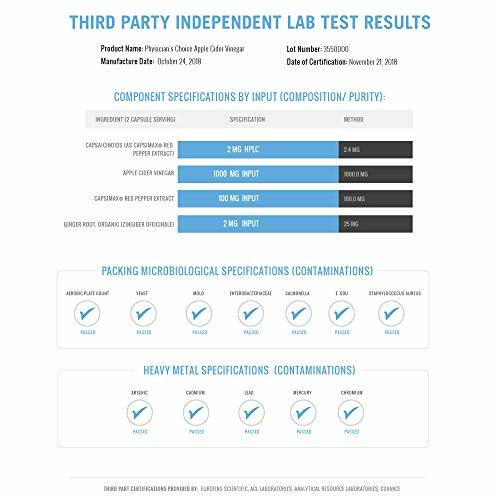 MONEY BACK GUARANTEE - SAFETY ASSURED STANDARD OF QUALITY Made in the USA in a FDA & cGMP registered facility. 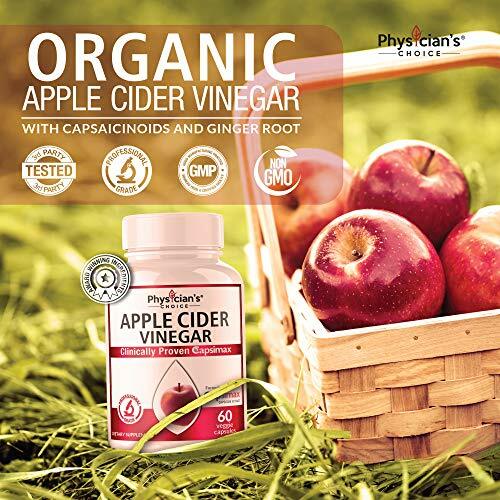 Our apple cider vinegar capsules work for adults looking for all the health benefits of apple cider without the taste. We always start with top quality raw apple cider vinegar with mother and then refine it into a powerful veggie capsule form.